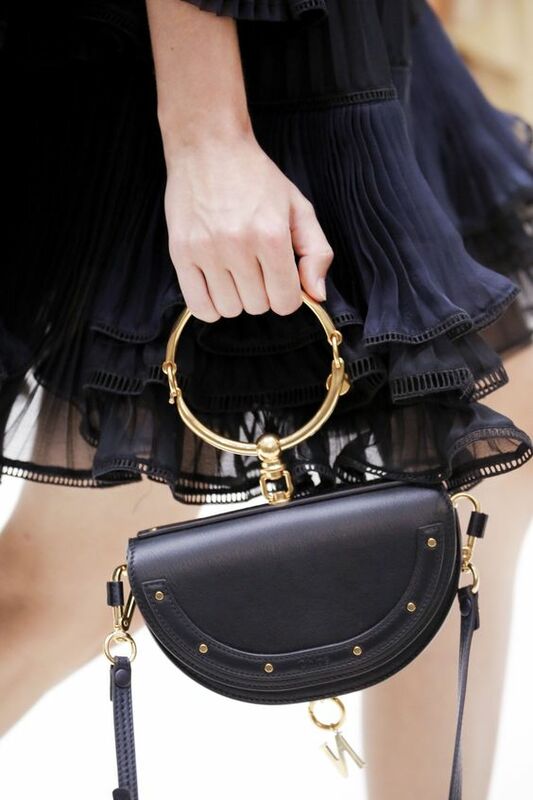 Here is my Chloe Minaudiere Nile bag. 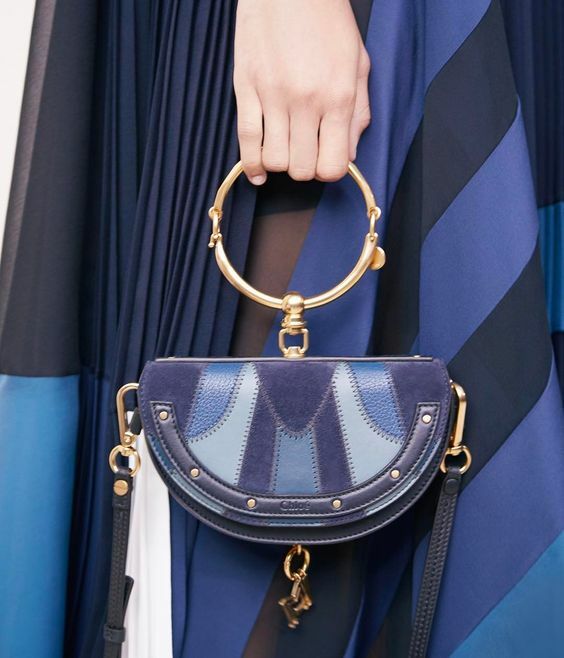 The bag was launched at AW17 Chloe Show and became most desirable bag for the season. 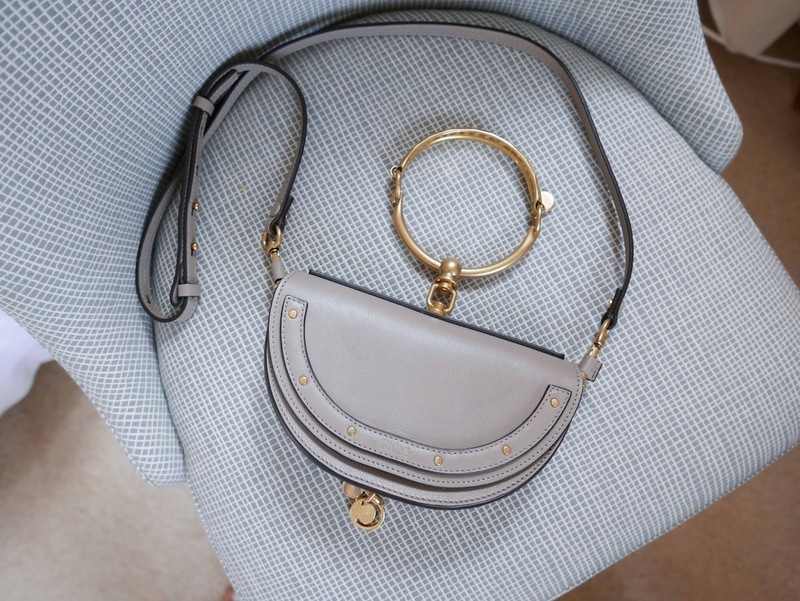 The half-moon silhouette, delicate stud detail and metal handle make the bag look very elegant and sophisticated. When I saw this bag for the first time I knew it will be mine. It was hard to get and the bag was sold out everywhere in London. 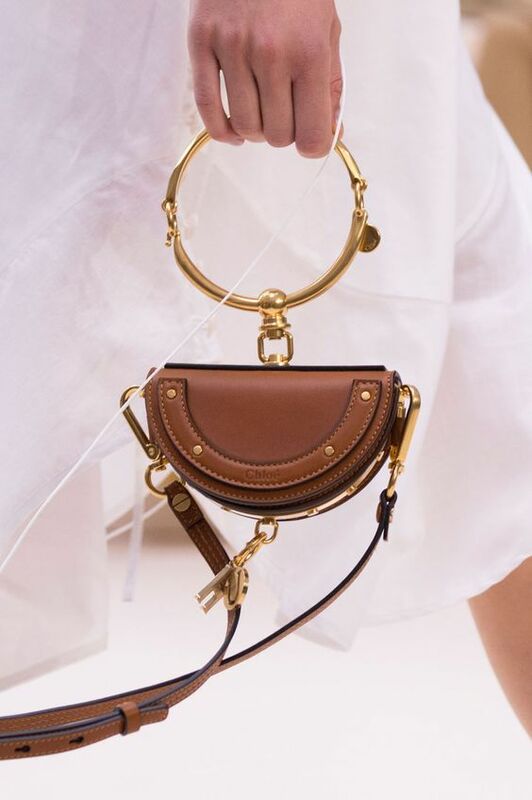 There was long waiting list for this bag in new Chloe boutique on Bond Street. But finally I managed to put my hand on it. 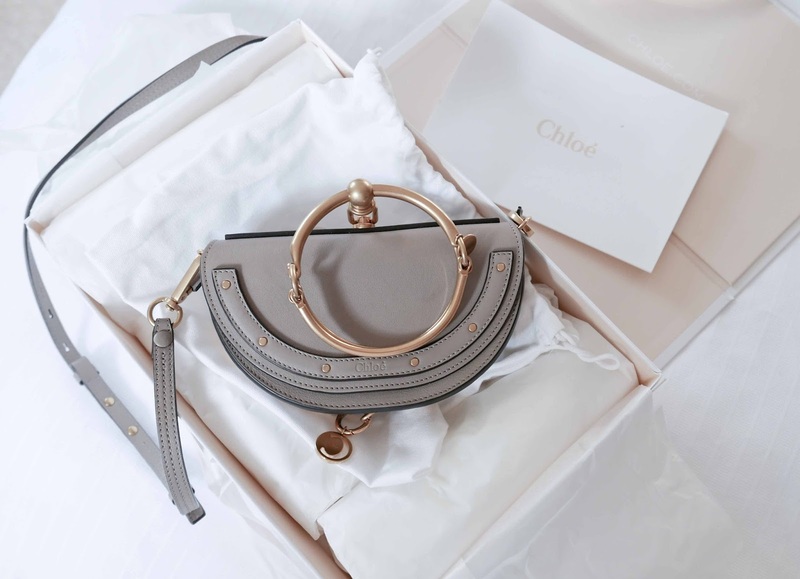 I ordered it online from Chloe official site. It came in beautiful white box. 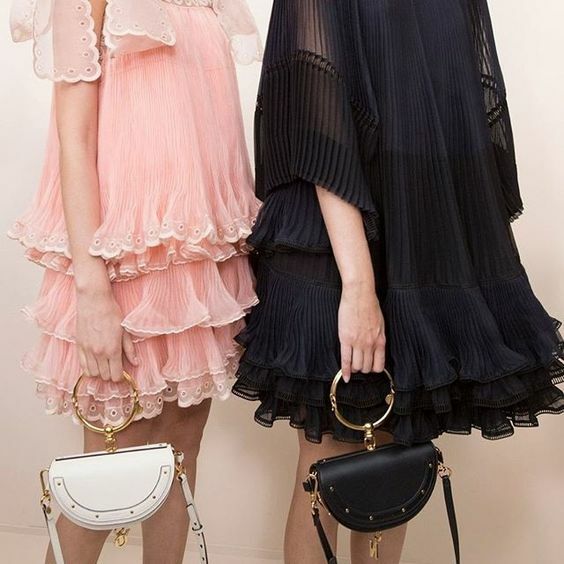 Chloe bags usually have very wearable style. 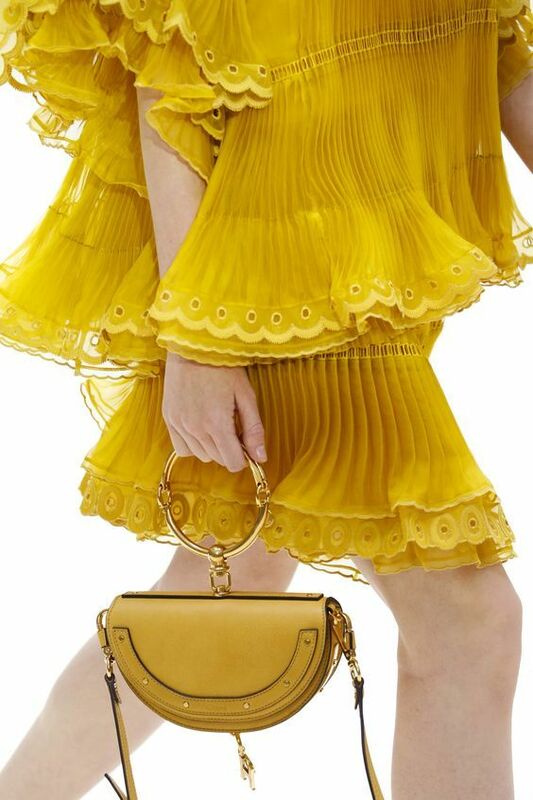 The bag can be worn as a cross body, shoulder bag or even evening minaudière.